Silversea cruises are exceptional ultra luxury ocean cruises, expedition cruises and world voyages to over 800 destinations aboard small luxury ships. Silversea cruises are exceptional ocean journeys with unique opportunities to explore remote ports-of-call from an intimate haven of incomparable luxury, each voyage a unique masterpiece. Silversea’s intimate ships can sail up narrow waterways into the heart of a city, or tie up right at the pier while others must anchor offshore. Silversea cruises represent what may be considered the essence of the ultra-luxury cruise line. From the quality of the fleet to its privately ownership by the Lefebvres family of Rome, every aspect is quintessentially a Silversea cruise. Silversea guests hail from across the globe, yet share an appreciation for the spectrum of choice offered in Silversea’s array of exotic destinations and exclusive explorations ashore. By blending these elements together with enrichment experiences, each new port becomes more than a destination, it becomes a state of mind, transcending the traditional concepts of cruising. It is this distinction that has earned Silversea the reputation of World’s Best. ALL-INCLUSIVE VALUE COMPLIMENTARY BEVERAGES SERVED THROUGHOUT THE SHIP An extensive selection of fine wines, champagne, spirits, bottled water and soft drinks are yours to enjoy – all courtesy of Silversea. COMPLIMENTARY IN-SUITE DINING AND 24-HOUR ROOM SERVICE A formal dinner served course-by-course, a late-night snack, or a full breakfast delivered at your request – with no charge and no tipping. COMPLIMENTARY TRANSPORTATION INTO TOWN Roundtrip transportation from the pier to the heart of town in most ports of call. Silversea . FREE WIFI Silversea is the first ultra-luxury cruise line with yet another benefit — free WiFi. Savvy travellers know that means not on specific days, not for certain guests and not in the fine print. Beginning with sailings in January 2016, every guest on Silversea cruises will receive at least one free hour of WiFi per day, with select suites receiving unlimited free WiFi (expected to be Medallion, Silver, Royal, Grand, and Owner’s suites aboard Silver Cloud, Silver Wind, Silver Shadow, Silver Whisper, Silver Spirit, and Expedition, Medallion, Silver, Grand, and Owner’s suites on Silver Explorer, Veranda, Deluxe Veranda, and Silver suites on Silver Galapagos, Vista, Veranda, and Medallion, on Silver Discoverer). 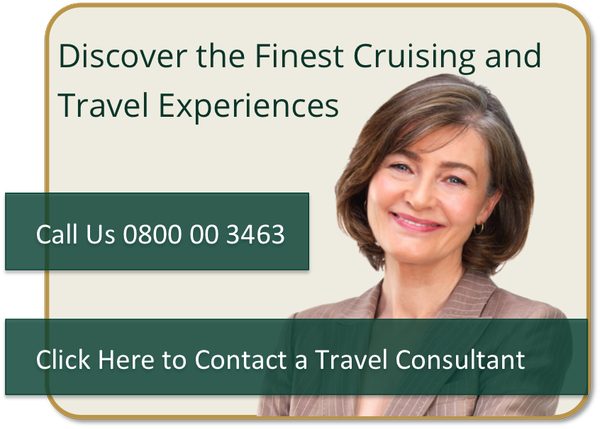 Silversea cruises awaken your emotions and stimulates your thoughts. In the quiet calm of morning, your private veranda becomes a place of true inspiration. Surrounded by the magnificence of the dawning day, at one with the vista of sea and sky, in awe of nature and the vast beauty of this world. The shoreline of the next port slides closer and closer into view, and with it an undeniable anticipation of things to come and the promise of limitless possibilities. The art of travel. The art of good living.